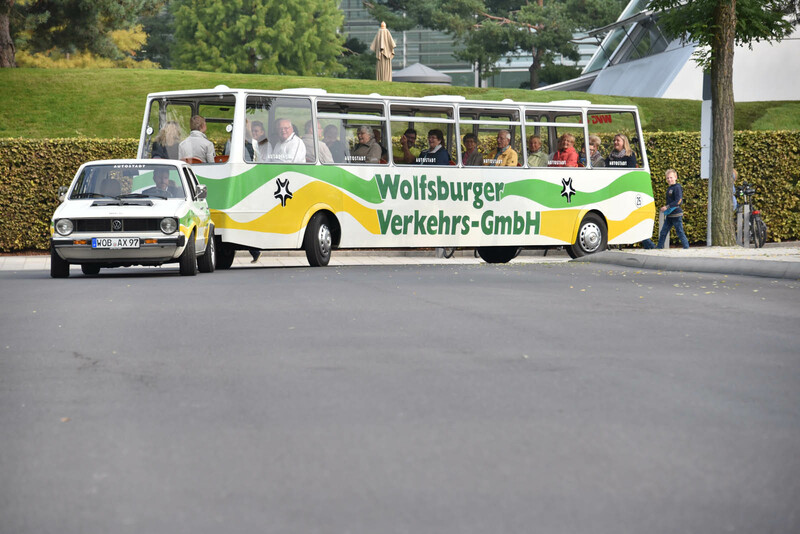 Wolfsburg isn’t just the city in which Volkswagen happens to be based. 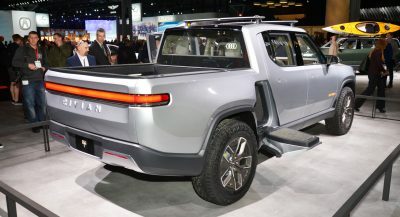 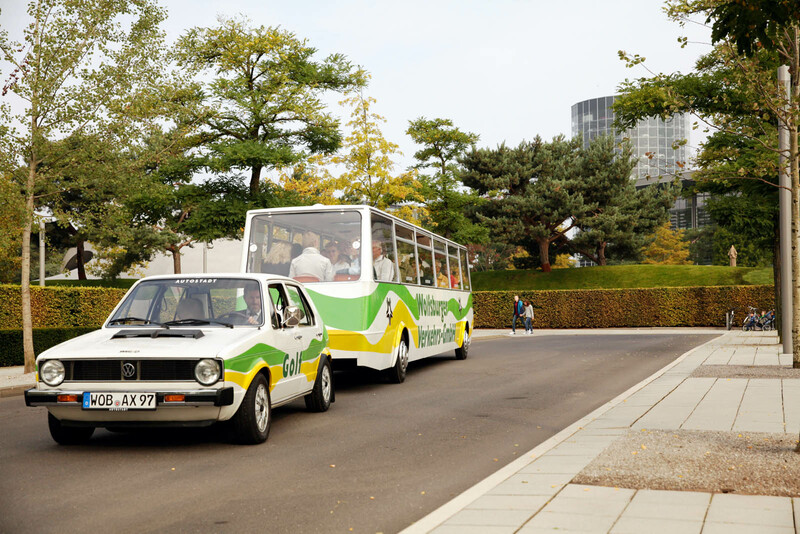 Arguably more than the headquarter locations of any other automaker, it is, for all intents and purposes, Volkswagen City. 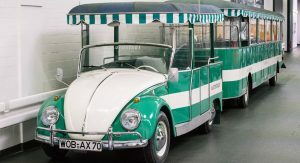 Just look at the trolly once used to shuttle people around town. 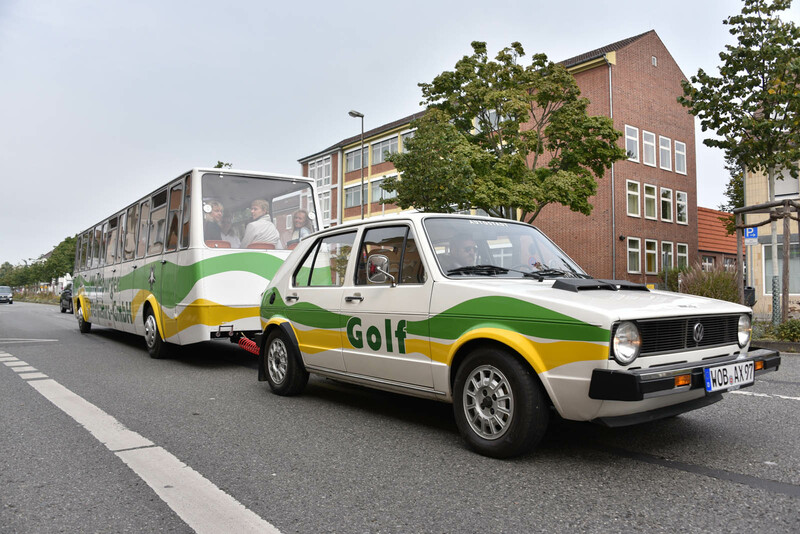 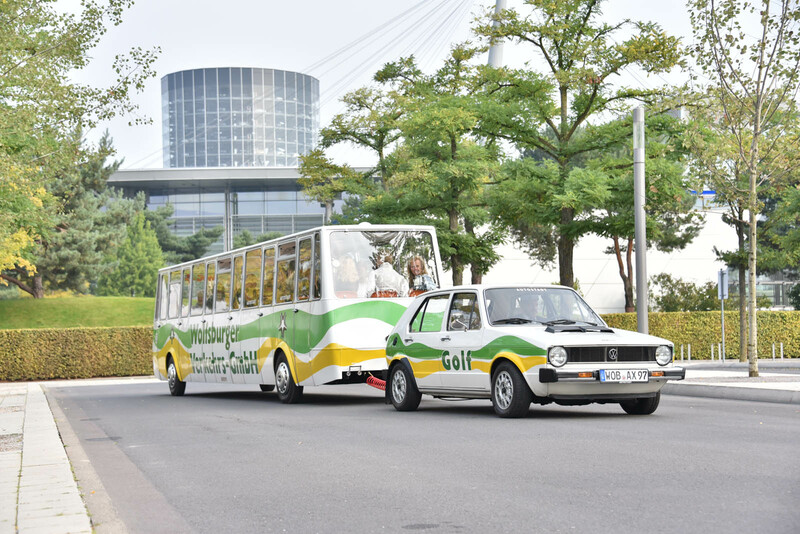 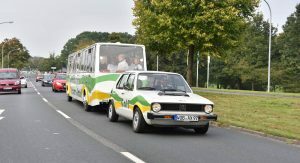 It’s a first-generation Golf, hooked up to a matching trailer with room for 36 people on board. 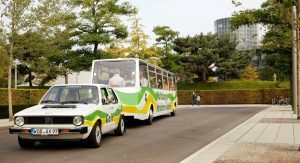 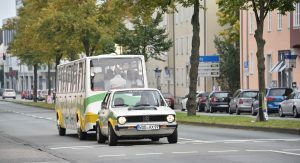 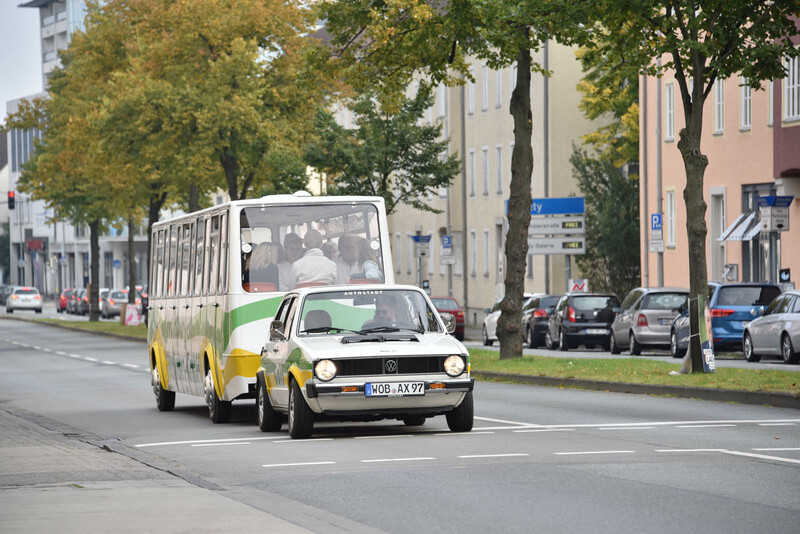 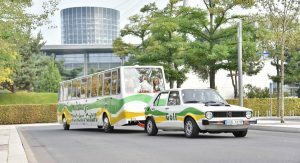 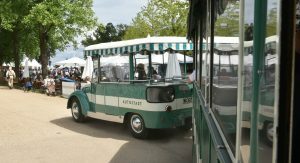 It was called the Bähnle, and was used between 1976 and 2003 for guided tours through the city. 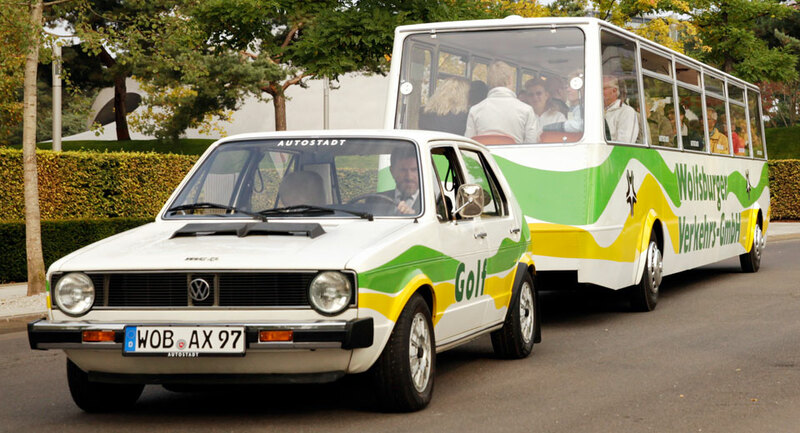 The Golf Bähnle replaced the previous coachbuilt green Beetle carriage, which at this point has endured the stylistic test of time better. 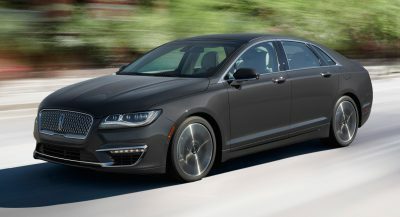 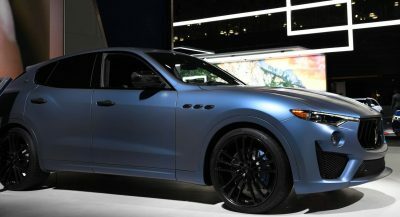 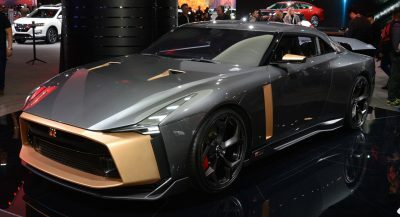 (In fact it exceeded its odometer last year, resetting from 99,999 kilometers back to zero.) 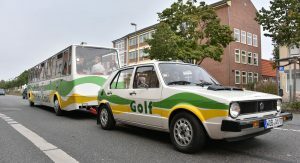 But it’s the Golf rig that’s being put back into service. 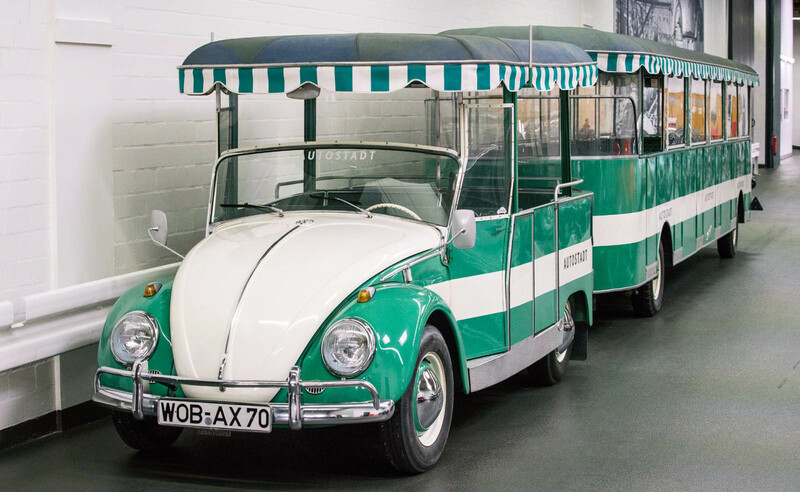 The rig was recently dug out of the archives and restored by the staff at Autostadt – the company’s sprawling museum campus in (you guessed it) Wolfsburg. 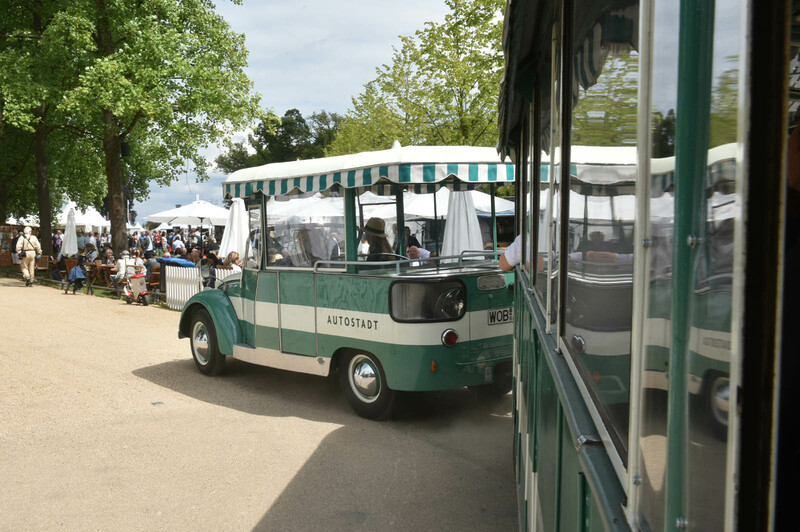 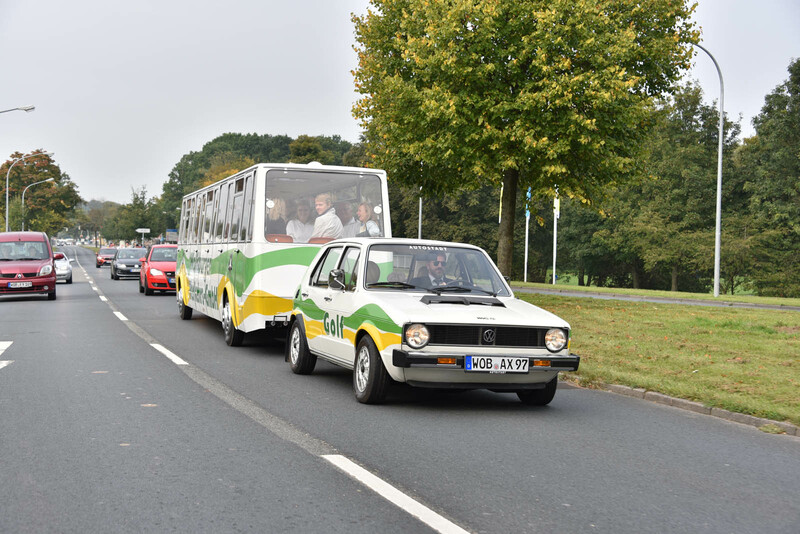 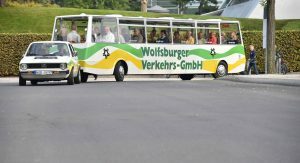 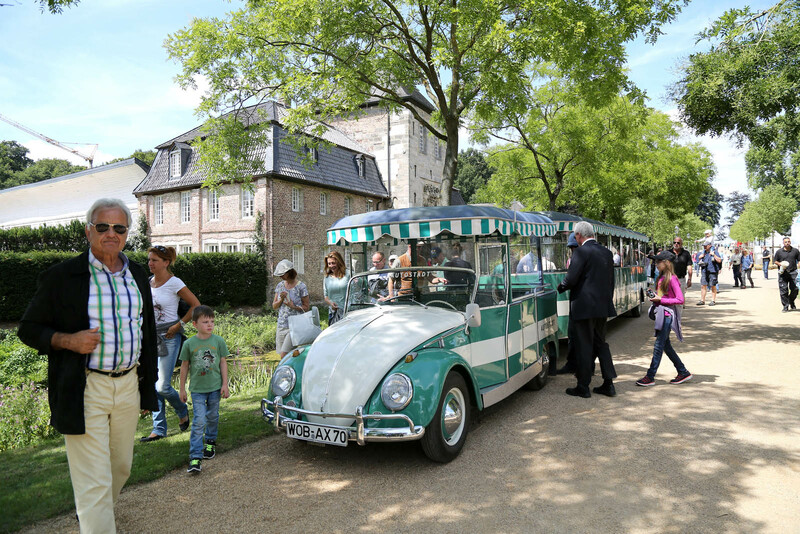 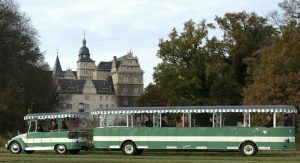 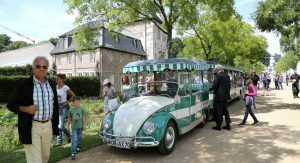 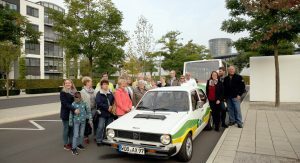 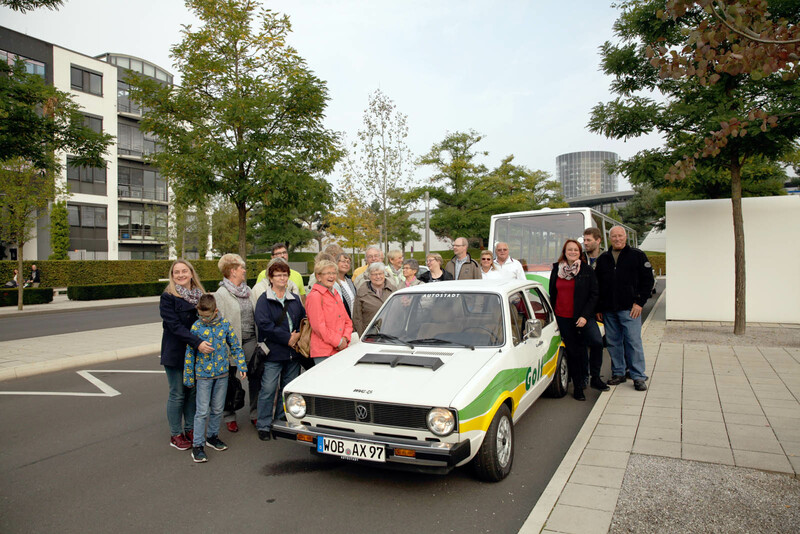 26 lucky passengers were chosen by the Wolfsburger Allgemeinen Zeitung newspaper at the recent Classic Days event at Schloss Dyck, a 17th-century castle (complete with moat) in the Rhineland, for a special tour. 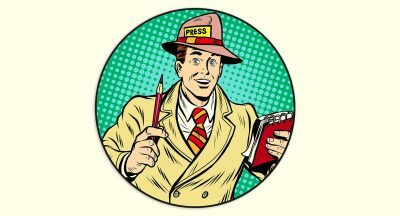 Given the effort that must have gone into it, we won’t be surprised to see it periodically used again.